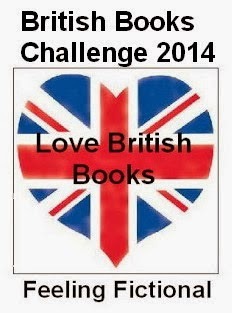 I've decided to participate in the British Books Challenge hosted by Sarah at Feeling Fictional! As I'm a blogger based in the UK, and I spent years reading UKYA before I really started reading US stuff more and more, I thought it might be best if I tried to read more UK books again. I don't know how it happened; between the ages of about 11 to 15 I consumed lots and lots of British books, and then suddenly I kind of stopped. But it's with British books that my love for reading started. I've already read one British book this year (A Kiss in the Dark by Cat Clarke, which I loved to bits and reviewed just last night), and I'm planning to read at least 11 more for this challenge! I will probably be focusing on YA, I think, though I may or may not read some adult fantasy books too. Some of the books that I'm looking forward to reading are Pantomime by Laura Lam, The Elites by Natasha Ngan, Tribute by Ellen Renner, and Trouble by Non Pratt. I'll be updating my progress on my 2014 Challenges page.